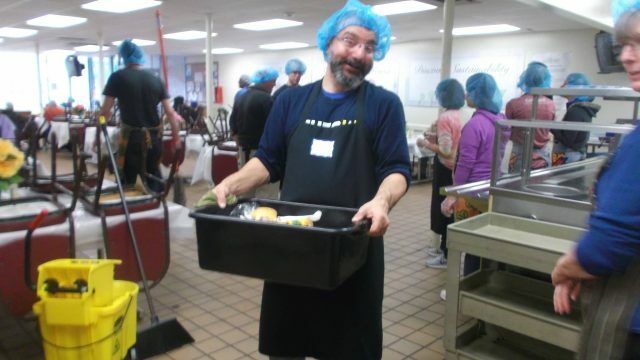 Spring is the season of service at Chicago Spurs! 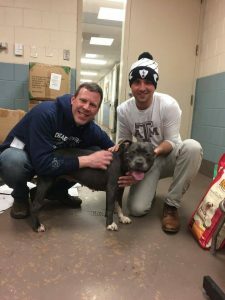 Over the past month, Chicago Spurs have been involved in two wonderful community service events in local Chicago neighborhoods. 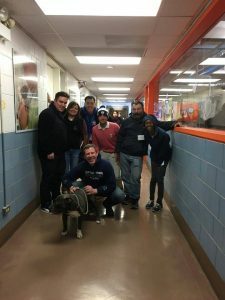 On the brisk morning of Saturday, March 4th, Chicago Spurs members volunteered at Chicago Animal Care and Control (CACC.) This event is an annual favorite among our group. Members walked and washed dogs, played with cats, created new information packets for people who have just adopted an animal from the shelter, and gave some much needed love and attention to our furry friends at the facility. It was a joy as always to spend time with our animal brethren and we are looking forward to returning next season. On Saturday, April 1st, a new partnership was formed as Chicago Spurs members traveled to Rogers Park to volunteer at the community soup kitchen of local anti-hunger organization, A Just Harvest. The event was a splendid success. 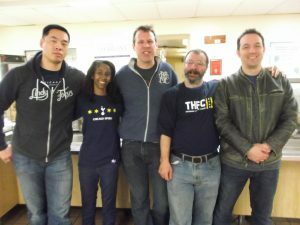 Chicago Spurs members worked hard with fellow volunteers from other community organizations to serve food, bus and clear plates, and clean up during Saturday dinner. 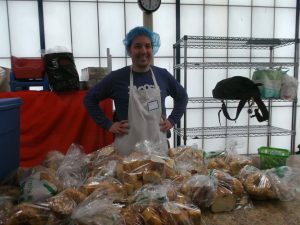 A Just Harvest’s Community Kitchen in Rogers Park is the largest and only self-standing community soup kitchen in the Chicago metro area. 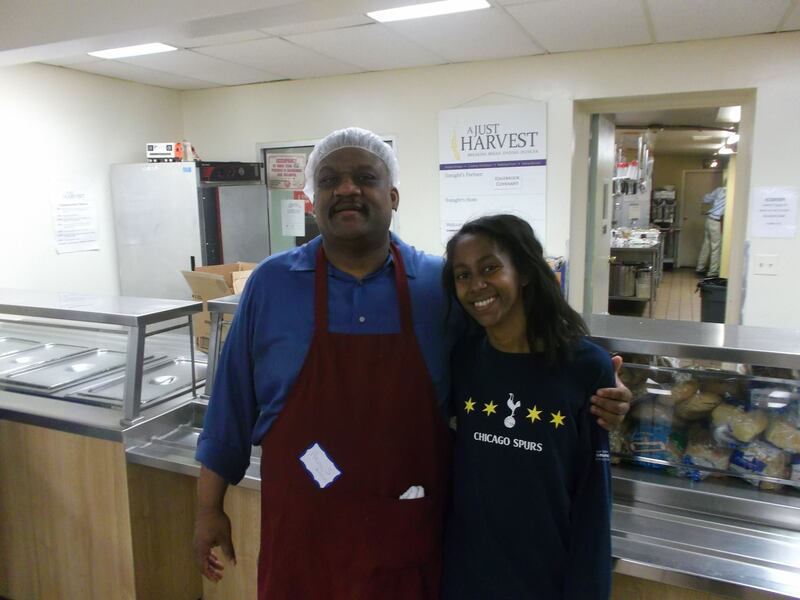 They serve hot, nutritious meals 365 days per year to anyone in need. 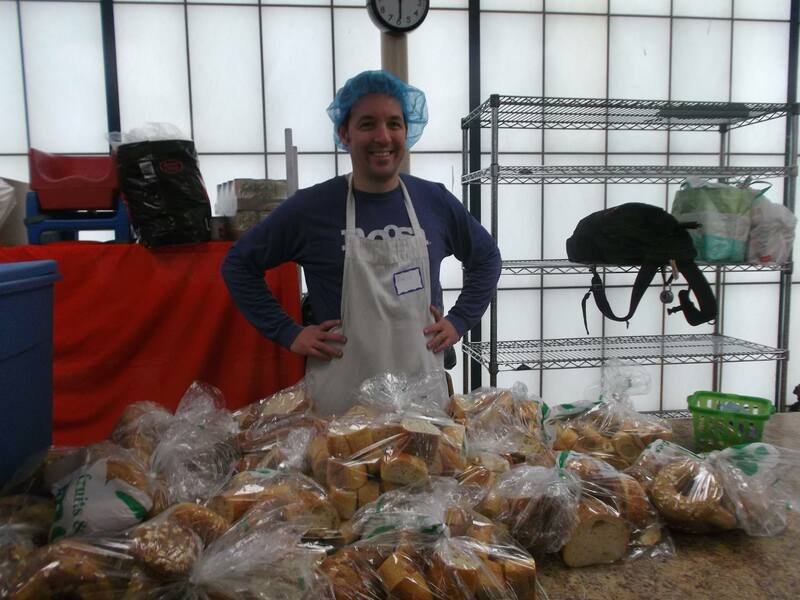 Last year, the Community Kitchen served more than 54,000 meals. 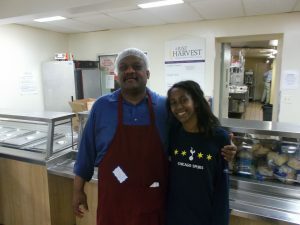 Chicago Spurs are looking forward to continuing our new partnership with A Just Harvest in the future. Keep a look out for our last charity event of the season, the 2nd Annual Benefit Night for Connections for Abused Women and their Children (CAWC.) The benefit will be taking place on Wednesday, May 24th, from 6:30 PM – 10 PM at the Atlantic Bar and Grill (5062 N. Lincoln.) Further details will be coming soon!